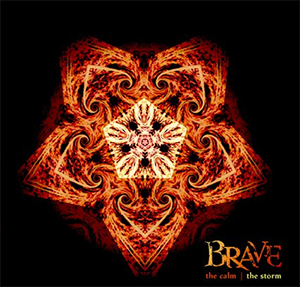 Washington DC’s progressive rock veterns BRAVE are finally back with their newest album the calm | the storm, which is a follow up to 2008’s Monuments. To say this album is long overdue is an understatement, but thankfully the wait has definitely been worth it. Sonically, it represents a large evolution in the band’s sound, and it’s some of their strongest and most compelling music yet. Thematically, the calm | the storm explores broad metaphysical concepts like life and death on a personal scale, and the music is suitably operatic to fit such lofty ambitions. The band is great at taking different genres and subverting them into their progressive, metal-tinged sound. From the dance and funk elements of “I Will Wait” to the jazzy, acoustic “No Gravity,” there are no styles which are off limits as long as the group can find some way to add their signature touch. Like some of Pink Floyd’s later work there in all encompassing nature to the album to allow for a total, self-contained vision that works best as a whole rather than broken up into individual songs.